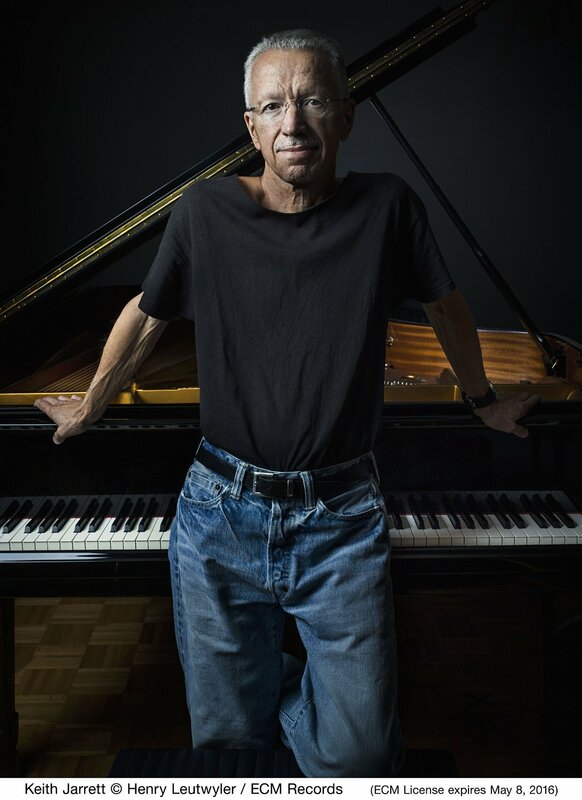 It’s tempting to trace overlaps between Keith Jarrett’s roles as a “classical” and “jazz” musician, but in this archival treasure I for once see the importance of their differences. It is precisely because Jarrett is so well versed, and indebted, to both spheres of influence that he seems to recognize the divergent types of rigor involved. In less uncertain terms: to merely conflate one with the other shortchanges both in the process. Hearing these recordings, now three decades old, we can be sure that many things have changed in the pianist’s approach to style and timbre just as we can be sure that whatever indefinable flame sustains him burns as brightly now as it did then. What we have here are two recordings—one made in Germany in 1984, the other in Japan in 1985—of piano concertos and an additional encore of improvisation. Beyond that, however, we have a statement of almost divine purpose from a musician who listens to everything before he plays. 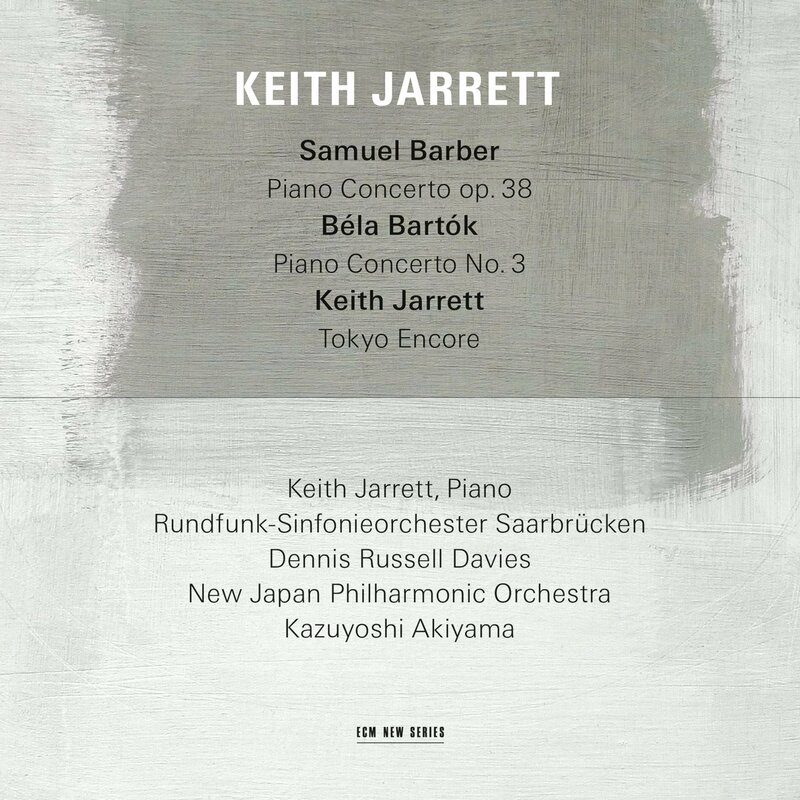 The Piano Concerto of Samuel Barber (1910-1981) is first on the program and finds Jarrett fronting the Rundfunk-Sinfonienorchester Saarbrücken under the direction of Dennis Russell Davies. Davies is a natural fit, having previously conducted Jarrett on record as composer (see Ritual) and, more than a decade after this recording was reeled, as the featured soloist of Mozart’s own concertos. Written between 1960 and 1962, Barber’s earned him a second Pulitzer Prize and is largely considered to be among his masterworks. The sheer variety of the first movement alone tells us so. The introductory solo might seem spontaneous were it not for the first orchestra hit soon thereafter. Jarrett’s rhythmic acuity is in such fine form that the other instruments almost feel ornamental. The second movement more pastoral, and Jarrett plays it with such flowing intuition that again it sounds like his own creation. Here the very personality of the piano, through Barber’s writing, takes shape, like an infant growing to young adulthood in the span of five minutes. The final movement begins as if through a mysterious screen before stoking its hearth to roaring flame. More pronounced brass and percussion make it a captivating one, even if those faunal winds do creep around the occasional corner with indications of less complicated sojourns. Rousing rhythms from both soloist and orchestra trade places at a moment’s notice, leaving us spellbound. It’s perhaps no coincidence that Barber’s only piano concerto should be paired with the third of Béla Bartók (1881-1945), as soloist John Browning, who premiered the Barber in 1962, ranked it alongside the very same as a crowning achievement of the genre in the 20th-century. Bartók wrote his in the final year of his life, after having fled to America in the wake of World War II. Jarrett likewise renders it here far from home (in Tokyo, that is) with the New Japan Philharmonic Orchestra under Kazuyoshi Akiyama. The first movement is more soaring than the Barber, filled with minuscule nooks in which to store our fascinations. The denser textures and more overtly “pianistic” writing allow for great variation at the keyboard. Jarrett responds with that trademark touch, building punctuation marks into paragraphs and paragraphs into full narratives. The second movement, though graver, nevertheless achieves crystalline form. Among Bartók’s most profound pieces of writing, its strings emerge like sunrays at dawn. Jarrett coaxes the orchestra, even as it coaxes him, creating a feedback loop of lyrical unfolding. He attends with a patience that is noticeable even in the most percussively inflected portions. An unresolved ending anticipates the finale, a movement of such fitness that it practically leaps away from the musicians of its own accord. Through windswept strings, Hungarian folk dance motifs, and purposeful drama, Jarrett handles that final ascent with finesse. Following this performance, Jarrett improvised a piece that has since taken the name “Tokyo Encore—Nothing But A Dream.” It’s a balladic jewel that diffuses the energy of the Bartók even while enhancing it, for here is a heart that respects not only the beauty of art, but more importantly the art of beauty, handling both as if they were of the same substance. Anyone else might bungle it, but Jarrett gives it such a genuine connection that we are reminded of his many gifts, not least of all those given to listeners fortunate enough to see their lives overlap with his.